Using a copper oxide powder of micrometer size as the starting electrode material in CuO/Li cells, copper oxide (CuO) can be electrochemically reduced into metal particles of smaller sizes in a controllable way. 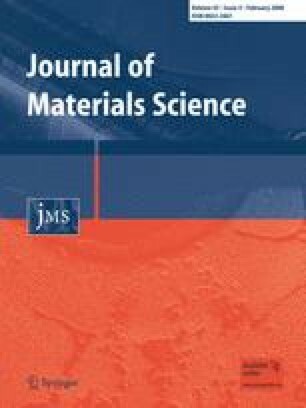 A novel electrochemical milling (ECM) method is developed for a “top–down” synthesis of nanometer-scaled metal particles. X-ray diffraction (XRD), field-emission scanning electron microscopy (FESEM), and transmission electron microscopy (TEM) were employed to characterize the structure of copper particles obtained by the electrochemical reduction. The influences of CuO precursors, current density, and operating temperature on the final products were also studied. It is found that the latter two factors had pronounced effects on the obtained copper products. This study was supported by National Science Foundation of China (Grant No. 20703013 and 20471057). We are also grateful to The Ministry of Education (SRFDP No. 2003035057) and the PD Foundation of China (Grant No. 20070410218).